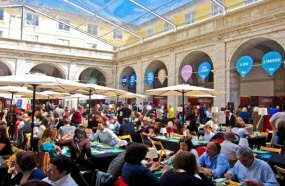 The aim of the fish festival in Lisbon is to celebrate the variety of the fish food and cuisine of the region and the country. During the eleven days, visitors have the chance to take a deep look into the different food recipes, dishes, wine tasting, cooking classes. Visitors can taste, watch the demonstrations and learn a good amount of knowledge about the wide range of produce and fish dishes. Pátio da Galé, Terreiro do Paço, 1100 Lisbon? June is the month of celebrations in Portugal, honoring the popular saints throughout the month, also named as Festas de Lisboa. 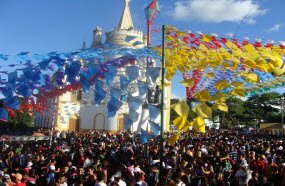 But perhaps the most important and vibrant one is the Festa de Santo Antonio, which takes place from 12 to 13 June. This time of the year, the whole city is celebrating with concerts, dances, music on the colorfully decorated streets, lasting until late nights. Be prepared to a long lasting party you'd never seen ! Held since 2004 and originated from Rio de Janeiro Brazil, the Rock in Rio festival in Lisboa is considered one of the biggest in the world. 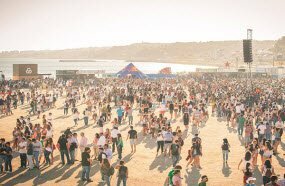 Each year the biggest names in the music world perform on the festival, bringing music fans from Portugal and all around Europe. The festival is committed to sustainability and environmental issues, releasing the project 'For a Better World'. 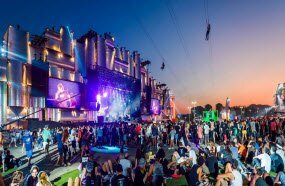 Being a music and arts festival which takes place since 2007, nothing marks better the popularity of the NOS Alive Festival than it was placed by the British magazine NME in the top 12 list of the European festivals. The Indie Lisboa film festival has been organized for 11 years now. What makes the film festival special is that visitors can watch such Portuguese films of all genres that aren't broadcasted elsewhere.